I became homeless at the age of 20 and spent the next few years of my life sofa-surfing. This was a particularly low point for me. I had no self-esteem and, at times, felt like I didn’t want to go on. 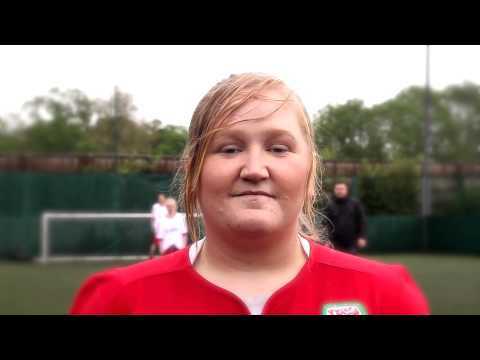 Then I started training with Street Football Wales and this really helped improve my confidence. 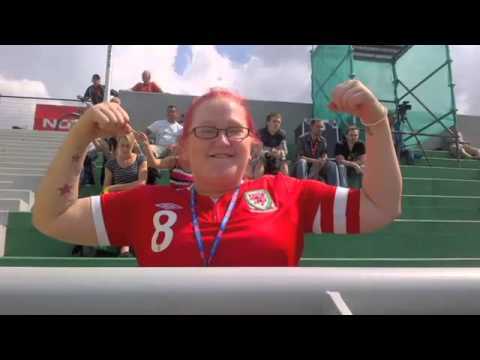 I was even chosen to captain the Welsh women’s team at the Homeless World Cup! With Fixers, I want to show that young people have potential. It shouldn’t be presumed that just because a person is homeless, they are hopeless. I also want to highlight the benefits of football to others like me. It can give you focus and help you meet new people. The team at Street Football Wales support my project. I first met coach Paul Scarfi 4 years ago and he agreed to be interviewed for my broadcast piece. SYSHP are supporting my Fix. Liz Slade, their Director, also features in my TV story. A story about my Fixers campaign was featured in the Daily Mail Online. Since my original Fix, life has been a bit of a roller coaster. I lost my job at Street Football Wales because of funding cuts and for a while I felt very low. But I didn't give up and eventually got a job at a call centre. Recently I landed my dream job as a Support Worker in Swansea. And Fixers has helped me make another film to encourage young people to keep going and persevere with their dreams.